I am always looking for ways to make vegetables more exciting!! 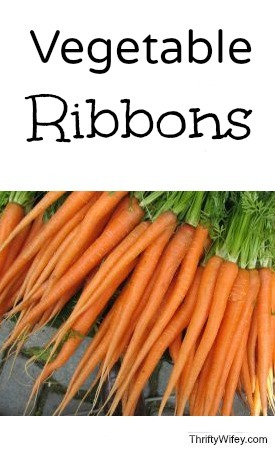 Why not try out some Vegetable Ribbons? You don’t need anything fancy.. just a vegetable peeler.. 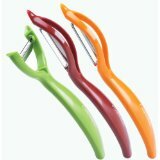 Using a vegetable peeler or cheese slice cut thin slices down the length of each vegetable to make the ribbons. Add butter (or coconut oil) into a large skillet over medium heat until melted. Sauté the vegetable ribbons in the butter (or coconut oil) for 2 minutes. Add in lemon juice into the mixture. Add the garlic, salt and pepper and blend until well combined. Cook for 4 minutes, stirring occasionally, or until the vegetable ribbons are crisp but tender.